There are 14,000 migrant children still remaining in U.S. custody. That’s how many children the government says are waiting to be reunited with family members as a direct result of then-Attorney General Jeff Sessions’ decision last April to prosecute every adult who crossed illegally at America’s southern border. “Zero tolerance” triggered an international outcry at the U.S.-Mexico border as more than 2,634 migrant children were separated from their parents in a matter of weeks and compounding an existing crisis involving several thousand "unaccompanied minors" already in U.S. custody. President Donald Trump eventually relented, issuing an executive order in June ending the practice. Days later, a federal judge ordered the administration to reunite the families. 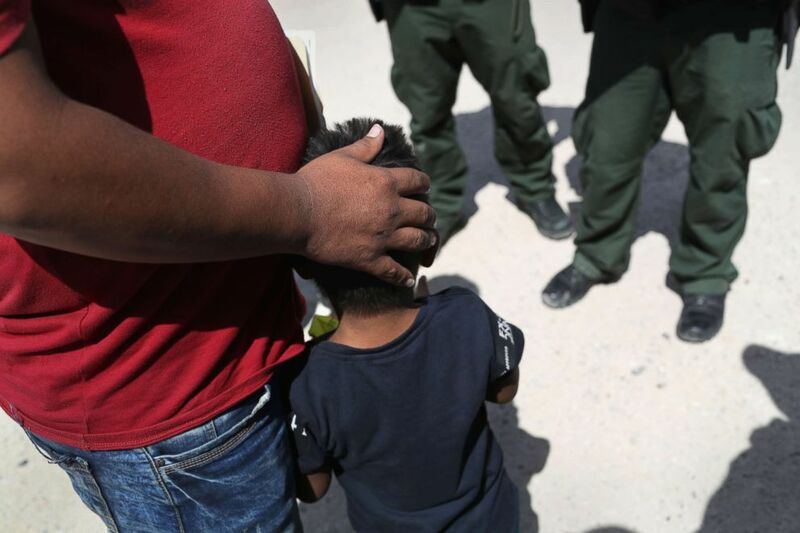 In the end, the vast majority of the kids -- 2,494 -- have been reunited with parents or sponsors, according to data provided by the Health and Human Services Department. 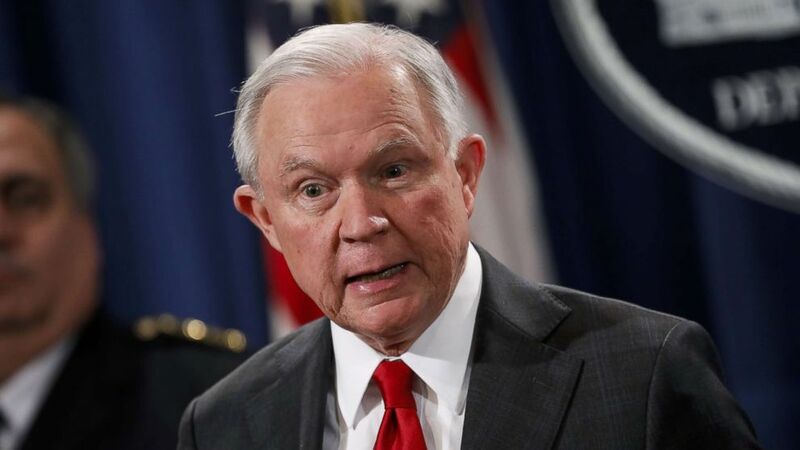 (Aaron P. Bernstein/Getty Images) Attorney General Jeff Sessions speaks at a press conference at the Department of Justice on Oct. 26, 2018, in Washington. Another 102 cases involved parents who said they didn’t want to be reunited. Another 30 kids separated at the border have parents deemed “unfit” or presenting a “danger” to the child. That leaves eight kids who are eligible to be returned to their family after being separated at the border, the government told a federal judge in a Nov. 29 court filing. The final efforts marks an end to one of the most controversial policies in modern U.S. immigration history. The debate though is hardly over, as Trump insists on funding border wall and has extended a military deployment at the border. 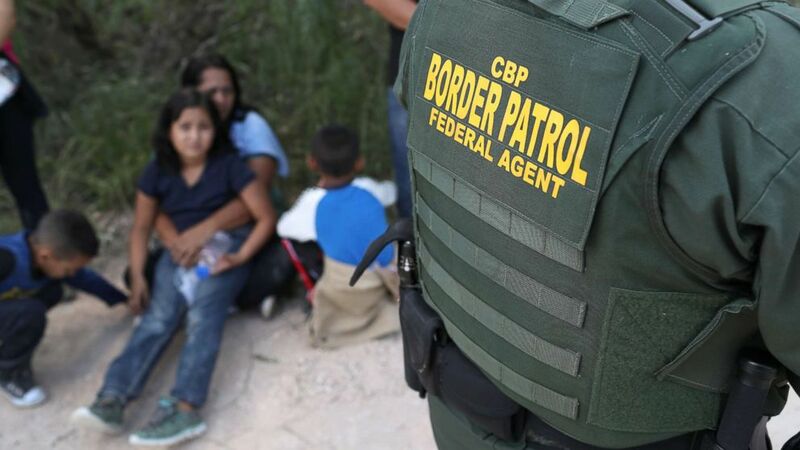 The Homeland Security Department declined to discuss pending litigation, but spokeswoman Katie Waldman said of general migration apprehensions: "We will enforce our laws to the maximum extent possible. Our country cannot afford unchecked, undemocratic mass migration policies written by activist judges." Democrats say they plan to take up the issue of migrant detentions come January, when they assume control of the House. Rep. Rosa DeLauro, a senior Democrat from Connecticut, called it "immoral" that any child remained separated from their families as a result of "zero tolerance." "This is a tragedy of the president's own design," she told ABC News. (John Moore/Getty Images) Central American asylum seekers wait as U.S. Border Patrol agents take them into custody on June 12, 2018 near McAllen, Texas. The families were then sent to a U.S. Customs and Border Protection processing center for possible separation. The U.S. still has some 14,000 migrant children in custody, the vast majority of whom are older kids and teens who opted to try to cross the border alone. They are held at facilities managed by the Health and Human Services Department and scattered across the country, including a tent city near Tornillo, Texas, which has come under the scrutiny of House Democrats. And migrants continue to try to cross the border. On Thursday, U.S. Customs and Border Protection reported 51,856 people were arrested trying to cross the U.S.-Mexico border in November, compared to 51,001 in October. The average number of adults in custody is at a record-setting 42,000, according to data provided by the Immigration and Customs Enforcement. "My frustration is that we haven't been getting to the root causes of migration for families who are looking for security and safety," said Rep.-elect Veronica Escobar, a Democrat who just won in the 16th District in Texas. "What this administration is doing is trying to create this sense of fear and crisis so the president can feed his obsession of a border wall," she said. Sessions’ "zero-tolerance" policy never explicitly ordered the separation of families. And families had been separated under previous administrations. But most of those cases would have been tied to other serious crimes. Trump’s policy was different because his administration considered the act of crossing the border illegally enough of a justification to detain the adult and put the child in protective custody. And migrants continue to try to cross the border illegally. On Thursday, U.S. Customs and Border Protection reported 51,856 people were arrested between ports of entry on the southwest border in November, compared to 51,001 in October. Overall in November, CBP denied entry or arrested to 62,456 people on the U.S.-Mexico border. Since zero-tolerance ended, the Trump administration has separated another 81 migrant children from their families at the border. But those cases appear primarily to be the result of specific circumstances, including the parent having a criminal history or known gang affiliation, putting that practice in line with previous administrations. According to the Nov. 29 court filing, one of the eight children can't be reunited immediately because the parent is in custody inside the U.S. Another child is on track to be deported and reunited with family in his or her home country, although that reunion has been delayed due to "unique circumstances." In five cases, the government is waiting for official statements from the parents on whether they want to be reunited with their child. The remaining child is on track to be reunited with a parent who is inside the U.S. The American Civil Liberties Union, which led the lawsuit against the government, is helping to orchestrate the reunifications. ABC News' Quinn Owen contributed to this report.